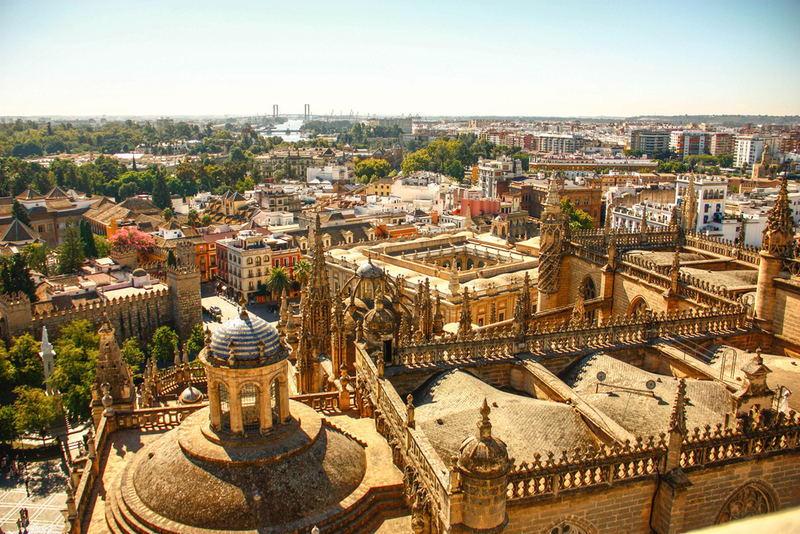 Seville is without doubt one of the most beautiful cities in the world to enjoy the spring. Its gardens and squares in bloom, the ideal place to get outside and enjoy the perfect temperature and atmosphere of the city, and the gastronomy and typical dishes of the season make the perfect combination for thousands of people to choose the spring to visit Seville. Royal palaces, walled palaces in the historic center and heart of the city, houses one of the most beautiful gardens you can see, with fountains and pools, Islamic and Christian elements, shows the centuries of history of Seville. Nearby, the Maria Luisa Park, green lung of the city, also shows its best side in spring, where make a long walks or feed the pigeons. On the other bank of the river, the Monastery of the Cartuja and current headquarters of the CAAC, hosts numerous art exhibitions of great cultural interest, besides being a very beautiful place to stroll. And of course, end the tour in Triana, resting in one of the best jacuzzi hotel in Seville, watching a romantic sunset from the terrace. Compartir el post "Nooks to enjoy Seville in spring"
Tagged hotels in triana seville, jacuzzi hotels seville, wedding hotel triana. Bookmark the permalink.